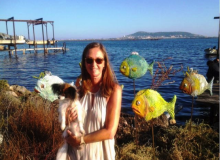 We join Jacqui Brown as she takes us behind the scenes of her blog’s fun French interview feature. This week, Jacqui is chatting with Susan Herrmann Loomis, an award-winning journalist, author, chef, and owner of her very own French cooking school. 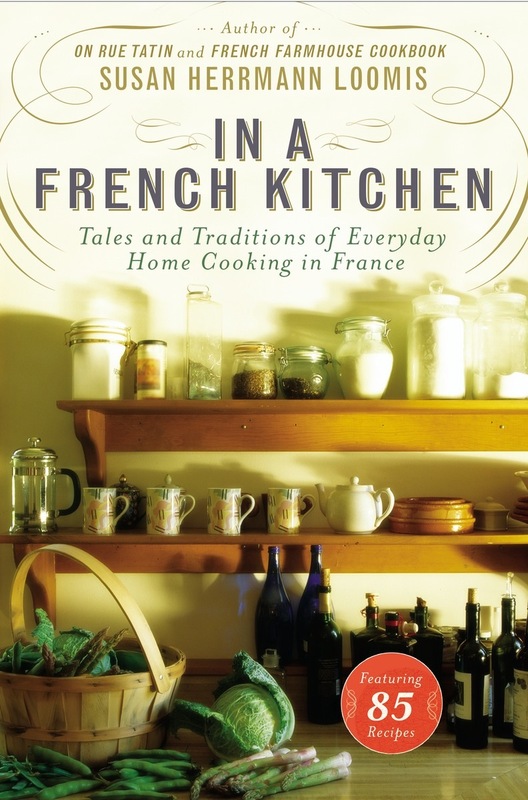 Susan’s latest book In a French Kitchen: Tales and Traditions of Everyday Home Cooking in France, was released in both hardback and eBook format. You can also read the review of Susan Herrmann Loomis’s book ‘In a French Kitchen’. Welcome to ‘France et Moi’ where this week, to coincide with the release of her new book In a French Kitchen: Tales and Traditions of Everyday Home Cooking in France, I am talking to Susan Herrmann Loomis about what France means to her. 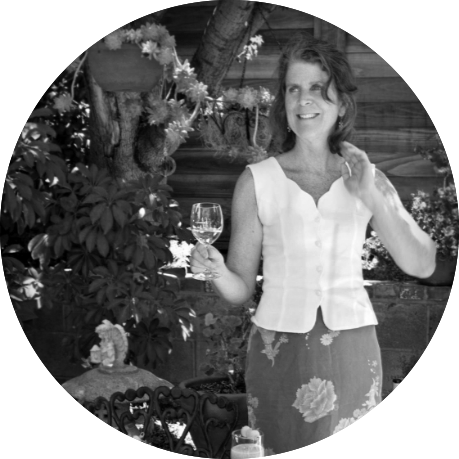 Susan Herrmann Loomis is an award-winning journalist, author, professionally trained chef, and proprietor of a cooking school; On Rue Tatin. 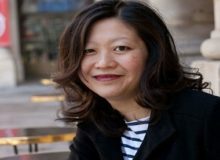 She is the author of twelve books, including French Farmhouse Cook Book and her memoir, On Rue Tatin: The Simple Pleasures of Life in a Small French Town, which was named the IACP’s Best Literary Food Book in 2002. She lives with her two children in Louviers, where she moved nearly twenty years ago. 1. Firstly, I think France is a special place and it is famed for many things including its cheese, wine, and diverse holiday locations. Plus, dare I say it – strikes and dog poo littered streets. What do you think makes France so very unique and ‘French’? Well, since you mention dog poo (caca de chien), I think the machines that are used to clean this off the streets are quite remarkable, and testament to France’s incredible ingenuity. And I’m actually not kidding, but this isn’t something that I think about on a daily basis…! and the focus most of the French have on food and pleasure – in that order. The scent of butter in the air. 3. Having lived in France and spoken French for many years, do you have any top tips for my readers on how to learn French? Live with a French family where small children will laugh at you until you cry. They will shame you into pulling that vocabulary and grammar out of your head. If that isn’t of interest, I would honestly suggest an immersion program where you are speaking French with French people all the time. It’s tiring but effective. 4. Where did your love of the region of Normandy begin? It began with Camembert and a salad at the home of my friend Edith Leroy (a character in the book). We were seated at a round wooden table in her kitchen, the fire was keeping us warm, the cheese was oozing on the plate, and I was in heaven. I couldn’t understand everything, but I didn’t care. 5. Every region in France has its own culinary specialty; do you have a favourite regional dish? Danie Dubois’ confit d’oie – goose confit. It is my favourite thing on earth, aside from her duck breast stuffed with foie gras. But then again, there’s also the roast chicken with apples, pears, and quinces (see p. 205 of In a French Kitchen: Tales and Traditions of Everyday Home Cooking in France). 6. Is there any French food you won’t eat? I’m not crazy about kidneys. 7. Imagine you’re sitting outside a French café at 10.00am on a sunny morning watching the world go by. What do you order from the waiter? Slam-dunk. Double espresso with pain au chocolate. Perfection. 8. France has many different cheeses. This is a silly question, but which French cheese are you? Maybe a hard and mature Tome? A soft, fresh and lively goat cheese? 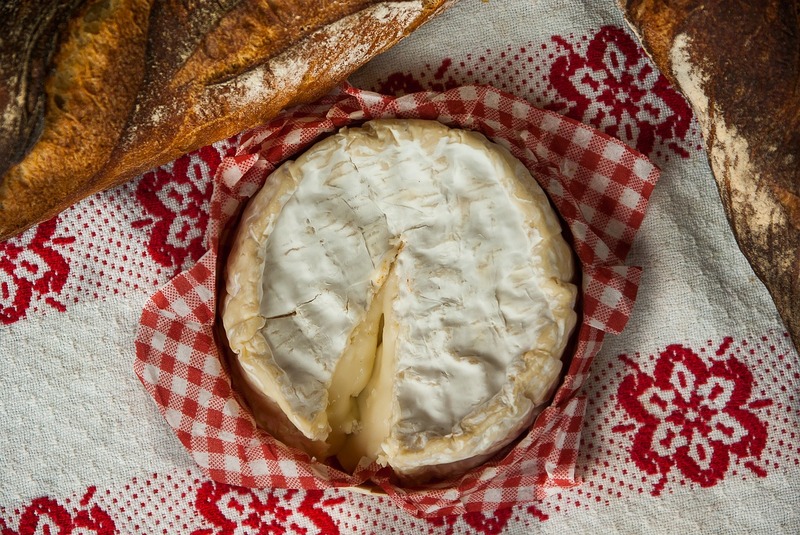 A creamy and rich Camembert or a salty and serious blue like Roquefort? Great, great question, and one I’ve never thought of. I’m going to choose one of your choices – I am probably a Roquefort, not because I’m salty, I’m actually very sweet. 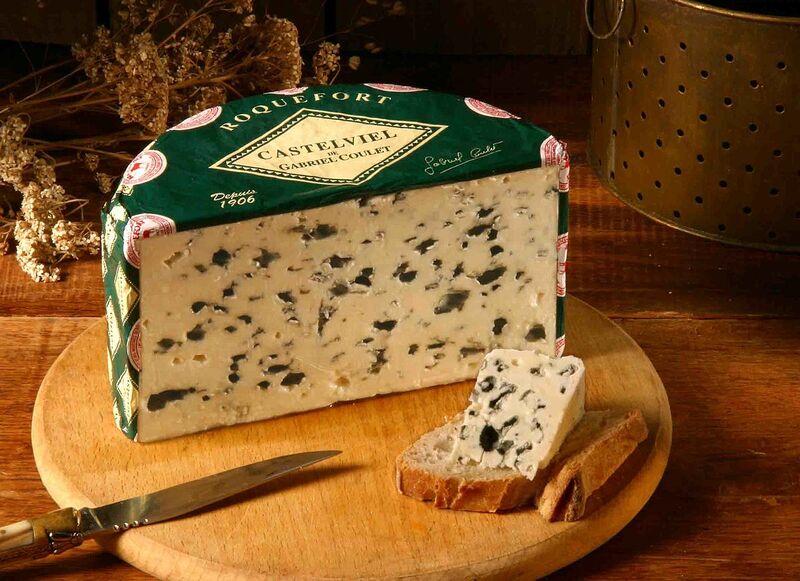 But there is a lot of strength in a Roquefort, and it ends up seducing nearly everyone! 9. Do you think the French have a different attitude to food than other countries? And if so, is it a healthier one? Oh my, of course, they do! They view food as something delicious and pleasurable, something nutritious and linked to their personal culture and history. Food is important; it is vital; it is fun; it’s exciting to the French. 10. 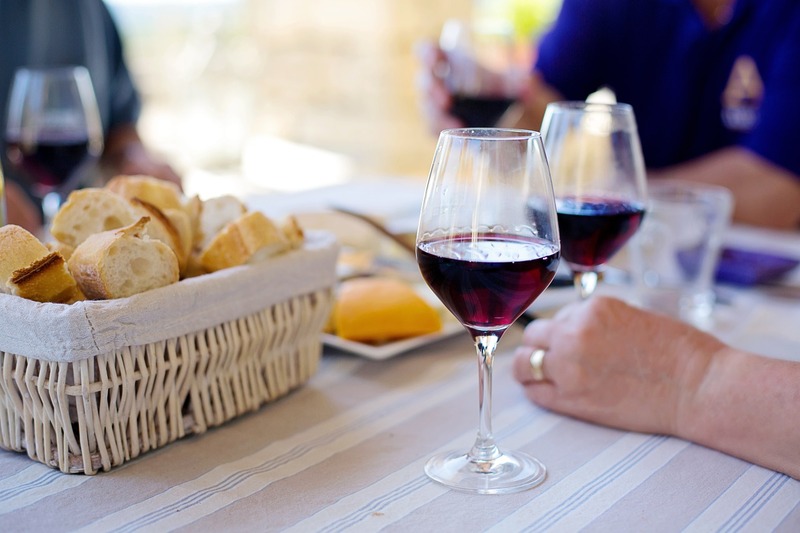 Can you describe your perfect French apéro for us, including the drink, the nibbles, the location, and the company? My kitchen or garden (I sound like a snob, but you asked…). The apéro of choice is champagne (more snob). As for nibbles? I LOVE Tapenade with both toasts and crudités – either seasoned with fresh basil from the garden, or thyme flowers, or just lots of garlic. 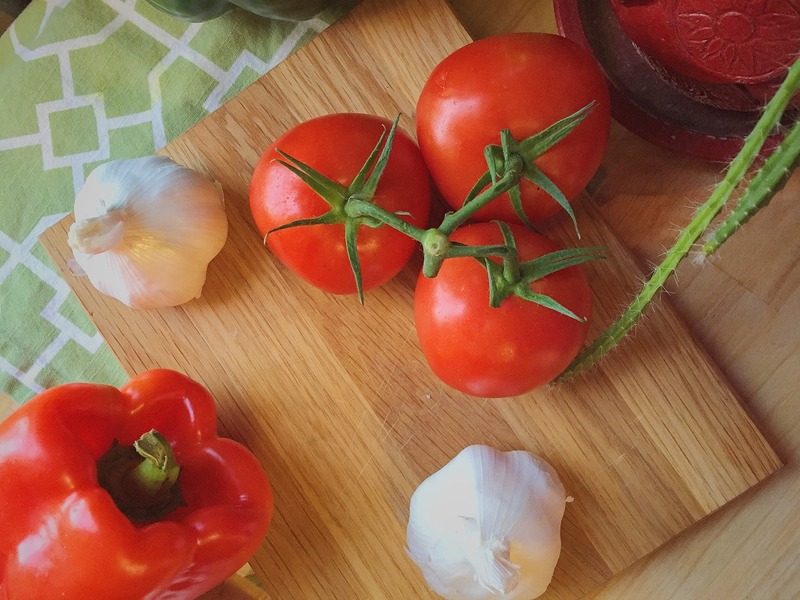 I also love red bell peppers, roasted and moistened with olive oil and seasoned with shards of garlic – also for toasts. 11. Finally, do you have any current projects you would like to tell my readers about? Every day feels like a current project! I’m newly a Professor of Gastronomy for the semester abroad at Trinity College, and I love it – a blend of history and tasting, walking through the market and watching students’ eyes light up at everything. I’ve got a book idea that I’m working on, but that’s all I can say about that! Otherwise, I’ve got a stack of recipes I’m working on. And one of them involves fresh strawberries, limes, a tiny bit of gelatin, and some balsamic vinegar…. 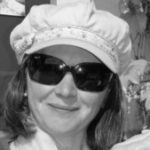 You can find Susan Herrmann Loomis on Facebook, Twitter and read details about her cookery school on her website here. What makes France unique for you? And which French cheese would you be? We’d love to hear your thoughts in the comments box below. This article was first published on The French Village Diaries and republished here with permission as part of our content collaboration with Jacqui Brown. I have lived in a small and quirky French village since 2004 and am passionate about France and sharing my French village life, recipes inspired from my potager, French-themed book reviews, and author interviews. You'll find my blog here. 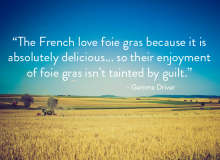 Gemma Driver on foie gras: a French way of life?